Home / Events in Phnom Penh / How well do you use social media? It’s nice to be back home in Cambodia, though I miss the whole Seliger2012 team in Russia! This Wednesday (25th, I will be speaking for 5 minutes about being an online journalist and blogger for some 5 years at the Meta House, a place where movies and events are usually screened and held. 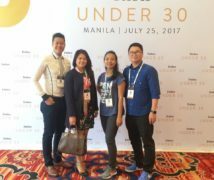 I will bring along my experience gained from travelling in other countries and communicating with online activists and bloggers. The speech will be followed by questions and answers. What do you want to do with the Internet? And social media? How much impact does it have on you, your company or NGO? Come to this event to understand more. This event is supported by Friedrich Naumann Foundation and the Meta House. You can read the brief concept of this event: the Intelligent Use of Social Media (pdf file). 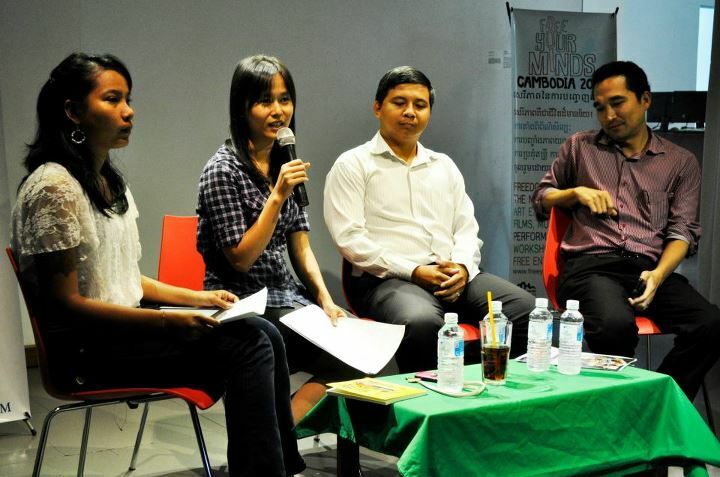 Phin Santel, blogger and founder of Khmerbird.com will explain how “everyone is a publisher”. But do we ever think about the responsibilities that come with it? Phin Santel will discuss how to use social media the right way. Norbert Klein has created the first Internet Service in Cambodia in 1994 and has been actively involved in the development since then. He will talk about recent developments in “Selective Internet Blocking and Its Legal Context”. Be Chantra, the organizer of the highly successful Bar Camp Phnom Penh and Startup Weekend Cambodia will talk about low budget business branding and how to use “Social Media for Business”. Ramana Sorn (email) is the project coordinator of the Cambodian Freedom of Expression Project of the Cambodian Center for Human Rights (CCHR). She will present a recently published report on “New Media and the Promotion of Human Rights in Cambodia. 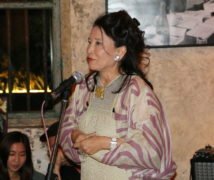 Keo Kounila is the writer behind the progressive Blue Lady Blog that has received a lot of national and international attention since she started in 2007. She mainly writes news reports and blogs about social issues. Nhov Den of the NGO STT is the project manager of Urban Voice, an exciting new tool through which everyone can participate in the urban development of Phnom Penh by sharing information and events through an online map. Neang Sovathana of the Friedrich Naumann Foundation will moderate the event. As an active blogger and Internet activist herself, she will guide the participants through the debate. The event actually took place with two panels, first of which focused on human rights, social and political side while the other on business and self-publication. 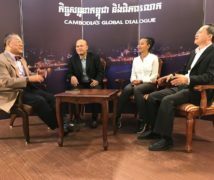 Ramana Sorn, representative from Cambodian Centre for Human Rights, Norbert Klein, a long-time resident in Cambodia and Den Nhov from Urban Voice made up the first group. The panel started with Ramana introducing the newest report on New Media and the Promotion of Human Rights in Cambodia (pdf file) published by CCHR that explores the use of new media such as mobile phones and the internet in Cambodia in the human rights realm. For those who are interested to learn some case studies on how Cambodia and other countries use social media to advocate their causes, don’t hesitate to click. I especially like the part on “Ushahidi” because this is what I’m trying to learn. The next speaker, Den Nhov, revealed the most exciting plan for Phnom Penh: Urban Voice which adopts the use of Ushahidi, an open-source software program used to make crowdmaps and born in Kenya. As far as I remember it, Urban Voice is probably one of the first groups in Cambodia that use Ushadihi to collect data and turn into a visually useful information for the residents in Phnom Penh. The main objectives of Ushahidi is to collect information through cell phones or the web, aggregate that information into a single platform and visualize it on a map and timeline. Needless to say, it requires submissions of data/info from people; therefore in this case Urban Voice is a platform where Phnom Penhers or urbanites come and engage. Check Ushahidi to understand more. He always has interesting things to say. That’s Norbert Klein, known in Cambodia for bringing the first Internet connection to Cambodia. He made a lot of points on Selective Internet Blocking and Its Legal Context. Norbert noted that the first web blog blocking started with reahu.net in 2009, a website that depicted naked Apsara women who could be found on the walls of Angkor temple. I remember that the Ministry of Women Affairs together with another government agency agreed to have ISP providers block that site deemed as obscene and “immoral”. The owner of the website, an artist, came out and released a statement saying that his arts were so close to the true and authentic art form of Apsaras which people could find on the walls of some temples. As Norbert further explained the legal aspect, as a matter of fact, there was no or has never been an official announcement of the internet blocking policy in Cambodia. It has something to do with the Internet service providers. I got his whole point during the talk that if you couldn’t get what you want from any ISP provider that you pay, what is the point of paying them anymore? 🙂 I think Cambodians should start using their economic (money) power to demand change. At least in this matter. IT will help strengthen democracy, ensure transparency, promote good governance in government and community businesses. With regard to the economic and social aspect, IT will improve major public service delivery to the local people and allow them to monitor and receive regularly and timely all kinds of information. The second group started with me, Santel or Khmerbird and Chantra Be. I started the talk with Arab Spring. The article about Arab Spring on Wikipedia does it more justice than me talking about here. And, Faine explains clearly that its not very likely that Cambodia Spring will happen in spring in Cambodia. Oops, does Cambodia have spring at all? 😀 As a journalist, blogger and new media consultant, I love to see more developments either social media-powered or human-made. We all need to make it happen sooner or later. When we talk about Be Chantra, “BarCamp Phnom Penh” comes up. 🙂 Anyway, he gave a lot of good tips on how the corporate world makes the most out of Facebook to promote their business. Do too many posts on Facebook help? Chantra disagreed. There should be a regular pattern of sharing your content with your followers and you shouldn’t spam their walls with irrelevant content. That was Chantra’s suggestion, as he made more useful tips for the corporate purposes. I went to Indonesia and Singapore early this year, and nobody is any less interested in “social media marketing”. Contact him via his Facebook profile: Chantra Be for tips and future collaboration as he can help you and your company gain a lot through social media marketing. Santel shared his first encounter with social media through using Twitter. As I know, Santel was educated in France and is now working for Phnom Penh International Airport. Actually, he is a living example of a successful self-publisher. He has published a few stories I like reading, which he published on his blog awhile ago. During his speech, he stressed the importance of responsibility in sharing. He said that he uses social media because it gives him an opportunity to connect and stay in touch with his friends. He asked: how many of us share online content through social media every day/publicly? He said that the rate of Facebook content sharing per minute is nearly 700,000 pieces. @[email protected] I’ve so far enjoyed his thoughts and views on social media, technology and anything Cambodia. I do recommend his blog to anybody who wants to read various things about Cambodia! Last but not least, I think Sovathana is one of the most intelligent and entertaining MCs and facilitators in Cambodia. If you need a young bright Cambodia to facilitate a panel discussion or debate, you won’t make a mistake in approaching Sovathana. Interesting round up and I wish I’d been in Cambodia for this as it’s right up my street. I’ve only just arrived and I use blogging and to a lesser extent Twitter and Facebook to manage my business and to tell a story or three as I go. Do you know if there are any future events like this one planned? @Nick: thanks for your comment. There is a barcamp coming up next on 22-23rd Sept this year (2012). And in late Oct or early Nov, there will be a blogfest. 🙂 I’ll post the event on my blog (right sidebar).